Diabetes is a chronic disease which can not be cured, but it can be treated and controlled. You can live a normal life by controlling the disease with these home remedies for diabetes. 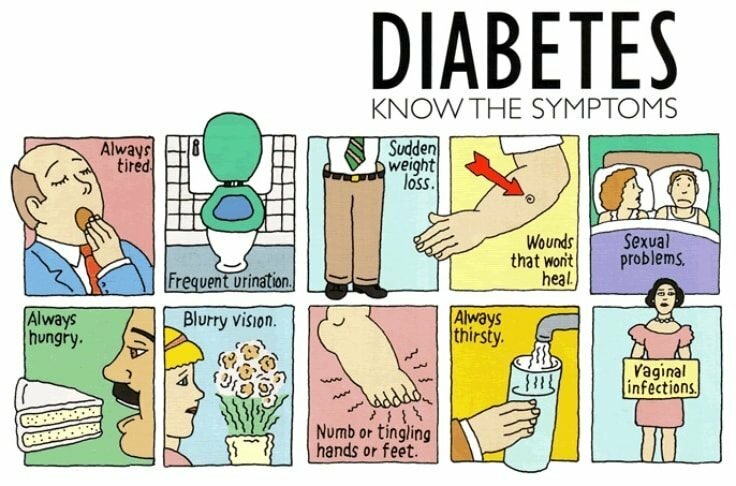 Weakness, fatigue, excessive urination and unusual thirst are some very mild yet active symptoms of diabetes. Most people do not take these indications seriously and avoid them. It is better to get yourself tested and be aware of the disease on time, to be able to treat it, than to wait for it to become indestructible. In type 1 diabetes, body stops the production of insulin, the compound that helps body to absorb sugar from the bloodstream. This occurs in kids or young adults. Only 5% of people affected by diabetes suffer from type 1 diabetes. In type 2 diabetes, your blood sugar levels rise higher than normal. In this case, the body does not make proper use of insulin, which is called insulin resistance. This is the most common form of diabetes. If you have type 1 diabetes, then you will have to depend on insulin injections to provide your body with enough count of insulin. But if you are diagnosed with type 2 diabetes, then making simple changes in your eating habits and lifestyle can help you keep your blood sugar levels under control. Home remedies have shown results in treating type 2 diabetes, and this option is safe and comfortable. A few simple changes in your thoughts, lifestyle and eating habits will help you control this disease. Here are 4 sure shot home remedies for diabetes that will help you live a normal and productive life with a type 2 diabetes. Apple cider vinegar has been shown to be effective in treating chronic type 2 diabetes. Taking vinegar before bedtime helps in bringing down the blood sugar level that raises after sleep. It is useful for not only the diabetics but also for those who might have a risk of developing diabetes in the coming future. Okra belongs to the hibiscus family and the word “OKRA” refers to the edible seed pods of a plant. It is also commonly known as ladies fingers and has been recommended for the health conscious people for ages. It is filled with potassium, calcium, Vitamin B and C and is low in fiber content. Okra water is said to improve and balance the blood sugar levels. Cut off the ends of two okra pods. Slit them from the center and soak them in a glass of water overnight. In the morning, take out the pods and drink the water on an empty stomach. Make sure you wash the pods before cutting them, and not after cutting them. Drink a cup of water mixed with one tsp cinnamon powder daily. You can also add cinnamon powder to beverages, smoothies and baked goods. At night, soak 10 to 15 mango leaves in a glass of water. In the morning, take out the leaves and drink the water, first thing in the morning. The alternate method to consume mango leaves is by drying them in the shade and grinding them to powder. You can have a spoon of this powder two times a day. While medication is necessary, these 4 home remedies for diabetes aid the drugs and show results that are quicker and safer. Natural remedies are always advisable, as they do not have any side effects, in comparison with diabetes drugs. Some of those drugs are so controversial that their side effects are disputed in court (see the Invokana lawsuit). Always choose the natural way to heal your body, if possible. And if not, diabetic supplies are recommended, and professional medical advice is mandatory. So adapt these home remedies for diabetes to your lifestyle, to be able to live fear free and better. Stay healthy!